An action adventure game focusing on multiplayer, set in an open world filled with pirates, treasures and exotic lands to explore. It is a work of the experienced studios Rare – creators of such classic series as Donkey Kong and Banjoo-Kazooie. Players take on roles of corsairs taking part in countless adventures, both on land and open sea. 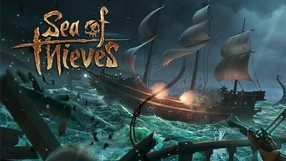 Gameplay revolves around exploration and searching for legendary pirate treasures, though there is a lot of fighting against monsters, as well as epic naval battles of competing groups. As can be easily noticed, Sea of Thieves takes a lot of inspiration from classic tales of pirates, but depicts it in a very humorous way, which is emphasized with its cartoonish visuals. The fourth major installment in the cult futuristic third-person shooter series and the debut of this Xbox-exclusive franchise on an 8th-generation platform. It was developed by The Coalition (previously known as Black Tusk), studio established by a long-time producer of the series, Rod Fergusson. 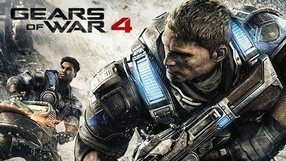 Story-wise, Gears of War 4 is not a direct sequel to the original trilogy; instead, we assume control over a completely new pair of protagonists. The gameplay mechanics remained faithful to proved solutions, therefore the game is still a dynamic, linear shooter that puts emphasizes the use of covers. In addition, the title features a multiplayer mode, including a co-op mode which is one of the series hallmarks. The game’s visuals make full use of the Xbox One’s capabilities while retaining the grim atmosphere of its predecessors. 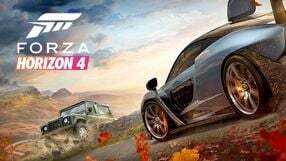 The first big add-on to Forza Horizon 4, which takes the players to an island north of the UK. New races and challenges await them there, as well as previously unseen atmospheric phenomena, such as thunderstorms and auroras. A full-fledged continuation of a third-person action RPG by Peter Molyneux, originally released in 2004 on Microsoft consoles. 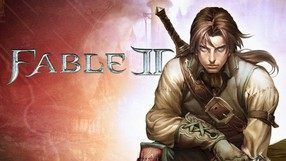 The story of Fable II is once again set in the fantasy land of Albion, but the action takes place roughly 500 years after the events of the original game, we assume the role of an ordinary inhabitant of Albion who, accompanied by his faithful dog, undertakes subsequent quests climbing up the social ladder and growing up to be one of the biggest heroes in the land. As far as gameplay mechanics are concerned, the title does not deviate significantly from the solutions of the original Fable, such as the character progression system which influences the character's appearances and alignment based on the decisions we had taken, gives us the ability to perform gestures that change NPCs’ attitude towards the protagonist, and the option to marry and have children. 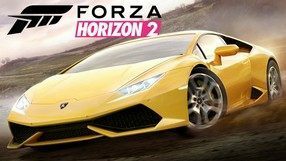 A sequel to the bestselling racing game that was a spin-off to the flagship series of racing games developed for Xbox consoles. The title was developed by the creators of the previous entry: Playground Games (Xbox One version) and by Sumo Digital (Xbox 360 version). 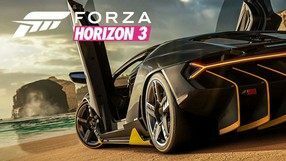 The new installment takes place in Southern Europe where another Horizon festival takes place. The festival is filled with good music and variety of racing challenges. Similarly as its predecessor, the title offers a large, open world where hundreds of licensed cars await the player. 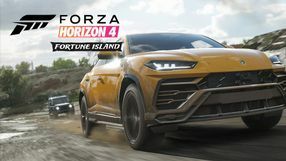 Similarly as the first entry in the spin-off series, the game offers a driving model that is slightly simplified in comparison to Forza Motorsport – it focuses mostly on making the races impressively looking. For the first time in the series the developers implemented a dynamically changing weather system which adds some realism to the races. The developers also added the Drivatars system known from Forza Motorsport 5, enabling the virtual drivers to gain experience even if they don’t participate in the game. 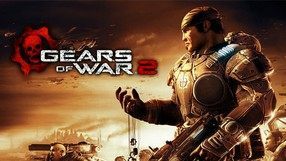 A remastered edition of a famous Xbox 360 shooter game prepared for PC and the eight generation consoles by The Coalition Studio, which comprises largely of the creators of the original release. The game takes you back to the war-devastated planet of Sera, which fell victim to an invasion of an alien race, commonly known as the Locust. Playing as Marcus Fenix, a convicted deserter, you and your team are sent to stop the invaders. The game employs third person perspective. One of the key gameplay elements is the environmental cover system. As compared with the 2006 original, this product features noticeably improved, high-definition graphics. The story campaign was expanded by 5 extra chapters originally available only in the PC version. 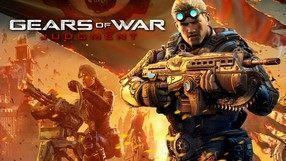 The list of innovations also includes new maps and play modes, 17 characters previously known from Gears of War 3, dedicated servers, and matchmaking system based on players’ skills. 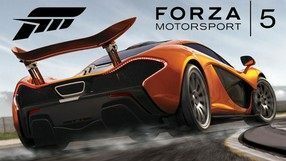 A spin-off to the popular series of car simulation games Forza Motorsport. 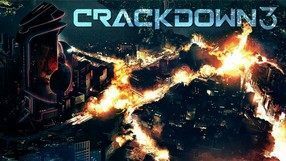 The title was developed by Playground Games in cooperation with the development teams from Turn 10 Studios and Microsoft Game Studios. The game takes place on the roads of Colorado State during the titular music festival. In contrast to the main installments of the series, the spin-off gives the player much greater freedom when it comes to the exploration of the world and selecting challenges to complete. During the game it is not only important to reach the finish line before the rivals, but to drive impressively as well. 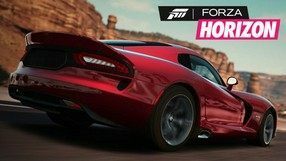 The player can select from around 300 models of vehicles of various classes (from sports cars through pick-ups to roadsters) that can be additionally tuned. A sequel to bestselling shooter franchise from Bungie Software, which debuted 2001 as one of the launching titles of the Xbox console. We meet old friends from the first Halo, such as Master Chief or Cortana, who now try to protect the cradle of humanity against the assault of aggressive Covenant forces. The game reuses the best features of its predecessor while taking players to a completely new environment, filled with even more interesting and complex locations. The arsenal has been expanded along with list of available vehicles, and the capabilities of enemy artificial intelligence have been significantly improved. Also, the second Halo introduces environmental destruction, resulting in an even more realistic world and forcing players to use various tactics. Multiplayer options have been expanded with the addition of new game modes. The continuation of the real-time science fiction strategy published in 2009 on Xbox 360 as a spin-off of the FPS franchise Halo. The second installment is co-developed by 353 Industries, which picked up the series after Bungie Software, and Creative Assembly primarily known for the extremely-popular strategy game series Total War. 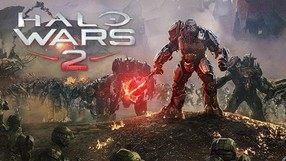 The plot of Halo Wars opens a whole new chapter in the universe, and supplements the original title’s story. During gameplay, you lead Spartans, Warthogs, and other classic units from the Halo series, into a brutal war against a new deadly enemy. Just like its previous part, the title focuses on quick and engaging gameplay which takes place on huge maps. The game includes extensive multiplayer, featuring dynamic PvP clashes. A continuation of a 2006's third-person shooter by Epic Games. You play as Marcus Fenix, a soldier sentenced for desertion, and face a hostile race called Locust. The action takes place six months after the events of the first installment. Even though the majority of aliens have been crushed, the remnants are still hiding in the underground tunnels while Rustlung – a mysterious, fatal disease – spreads among humans. Soon after Locust implement a new technology allowing them to produce cave-ins that can swallow entire cities. Fenix and his team once again join the war effort with the intention of defeating the enemy once and for all. Mechanics are based on a well-proven formula utilized in the first part of the game. Gameplay focuses on dynamic action emphasizing the cover system. The title introduces a new, easiest difficulty level, new weapons, and a wider variety of enemies and NPCs around which the plot revolves. 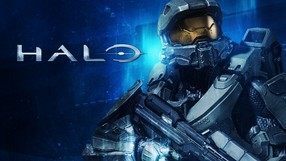 The fifth major installment in a bestselling science fiction FPS game franchise, whose consecutive editions were exclusively released for different generations of Microsoft consoles. This is the first iteration dedicated to Xbox One, developed by 343 Industries - the studio responsible for the previous installment as well as a low-budget production Halo: Spartan Assault. 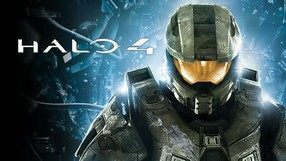 In terms of the plot, this new title is a sequel to the previous game, and follows the events of Halo 4. The key to winning against a new, emerging threat to the universe, may lay in the presumably lost AI called Cortana - main hero’s former companion. John-117, commonly known as Master Chief, together with his team forsake their military duties to find her. The narrative alternates between him and the second playable protagonist - Spartan Jameson Locke - pursuing him. Halo 5: Guardians is powered by a new graphics engine and, as always, offers expansive multiplayer options, including a new, online campaign co-op mode, enriched with social features. The third installment in the futuristic series of shooters developed by Epic Games. The series is the pride of the Xbox 360 console. After the city of Jacinto, the last stand of humanity, is destroyed, COG coalition persists in its fight against the superior forces of the Locust. 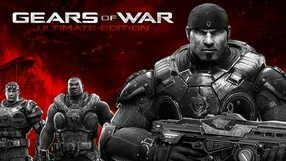 Marcus Fenix and his companions set out on a journey to find the protagonist's father, who has knowledge of what might be humanity’s last hope to defeat the enemy. The gameplay of the third game in the series employs similar mechanics as its predecessors while offering some new attractions such as never brand-new weapons and enemies. During the single player campaign the player can find almost 60 various types of collectibles. A new multiplayer mode called Beast Mode was added to the game and the cooperation mode was greatly improved, now allowing for up to 4 players to play by using a single console. Another installment of the popular racing simulation game series launched in 2005 and developed by Turn 10 Studios in cooperation with Microsoft. 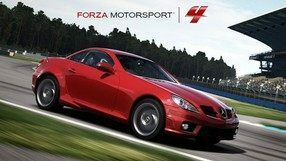 Forza Motorsport 4 introduces numerous novelties in terms of gameplay mechanics as well as technical aspects. The game features over 500 faithfully recreated cars that we can drive on 26 varied speedways at different times of the day for the first time in the history of the series. The career mode was enriched with the so-called World Tour which is a series of tournaments that takes place all around the world. The tuning and the social options (e.g. forming clubs) known from the title’s predecessor were also expanded. One of the primary novelties is the Autovista module, which utilizes the capabilities of Kinect—it allows us to examine the body as well as the interior and compartments of the selected car’s engine. The aforementioned features are complemented by a new version of the matchmaking system that searches for competitors online. Compilation of arcade mini-games taking place in the worlds created for the most popular animated films created by the title company Pixar. 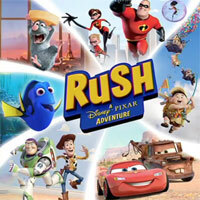 The production is a refreshed version of Kinect Rush: A Disney Pixar Adventure, and unlike the prototype that requires a Kinect motion sensor, it allows you to have fun using both the second generation of this sensor and the use of a pad. The fifth installment of the popular series of car racing simulators. The title was developed by studio Turn 10 which belongs to Microsoft. 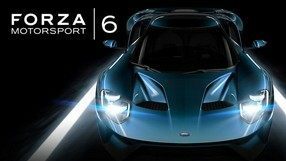 Similarly as the previous entries in the series, Forza Motorsport 5 allows the players to try themselves as drivers of super fast cars. There are more than 200 precisely modeled vehicles available in the game and one can use them to drive on 15 famous tracks, including Spa, Bathurst, Yas Marina and Circuit de la Sarthe. The game has a realistic driving model and control system that uses Kinect technology. What’s interesting, the developers cooperated with the team from the Top Gear TV series. It resulted in the commentary by Jeremy Clarkson, Richard Hammond and James May being featured in the game. 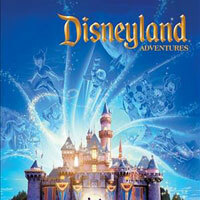 Compilation of arcade mini-games embedded in the Disney universe, thanks to which players can not only explore the virtual Disneyland, but also take part in eighteen competitions held in locations known from cult fairy tales and films. Production is a remaster of Kinect Disneyland Adventures, and unlike the original game, it does not require Kinect motion sensor to work - you can have fun using this sensor, as well as using a pad. The sixth installment in a best-selling racing game series, originated by Turn 10 Studios in 2005, available exclusively on Microsoft consoles. In comparison with the previous game, this one features more than twice the number of licensed car models – namely 450 – which you can drive on 26 tracks scattered all around the world, including such legendary circuits as Le Mans and Daytona. The developers did not forget about car customization. Traditionally, the title offers a realistic driving model, which can also be adjusted to suit the needs of less experienced players. Apart from the standard career mode, an array of multiplayer modes was prepared, where up to 24 players can compete at the same time. Unlike its predecessor, the game pushes the Xbox One console to its limits, achieving 1080p resolution at 60 frames per second. The fourth installment in the series of glamorous action games that focus on the war between humans and the dangerous race of Locust. The game was developed by Polish studio People Can Fly (Painkiller, Bulletstorm, and other titles) that belongs to Epic Games. Gears of War: Judgment is a prequel to the story shown in Gears of War. The main protagonist is Damon Baird who, together with his brothers in arms – Augustus Cole, Garron, and Sophia, is falsely accused of treason. The events are shown as series of flashbacks shown during the testimonies of the members of his squad. 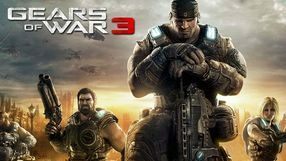 The gameplay remains faithful to the mechanics used in previous installments of the Gears of War series. However, the developers introduced a few innovations such as the Smart Spawn System.